Tyler Hadley, who was 17 when he killed his parents in 2011, told a neuropsychologist that he was looking in the mirror and laughing after the crime. 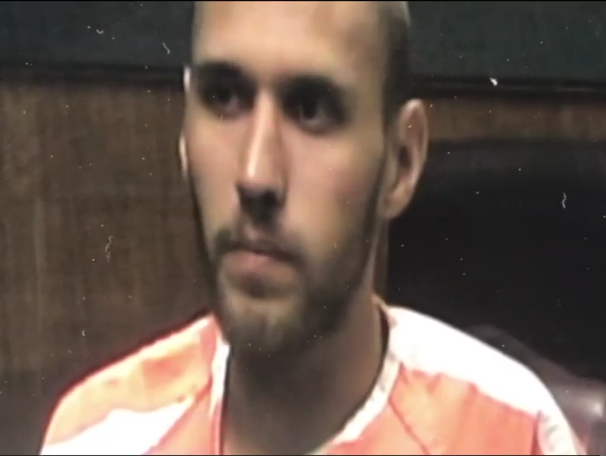 Tyler Hadley, less than two months before his resentencing hearing in October, told neuropsychologist Dan Martell he was not looking forward to that day in court. "Rehash everything again and it’s really hard facing the other side of my family. I know one or two are going to be there so it’s kind of hard to be in same room knowing that they’re there," Hadley told Dr. Martell in an interview obtained by NewsChannel 5. "And they have hard feelings towards you?" Dr. Martell asked. "Yeah," was Hadley's reply. In 2011, a then 17-year-old Hadley used a hammer to kill his parents Blake and Mary Jo. “I remember looking at myself in the mirror and laughing… just looking at myself.” I remember being bloody and it just happened," said Hadley. He covered up their bodies in a bedroom and threw a party. “So even now looking back on it, you can’t make sense of it?" asks Dr. Martell. "Can’t make sense of it," is Hadley's barely audible reply. Attorneys in the case submitted their sentence requests to the judge last week. Prosecutors again are asking for life as to each count of murder. The defense asking for a 40-year concurrent sentence. In either case, Hadley would be entitled to a review of his sentence after 25 years. The judge has yet to decide when he’ll make a final ruling.